Barney Frank, the former congressman whose name adorns the law that reshaped Wall Street in 2010, has followed Sheila Bair, the onetime head of the Federal Deposit Insurance Corp, through the revolving door to the board of directors at a bank, albeit a relatively small one. 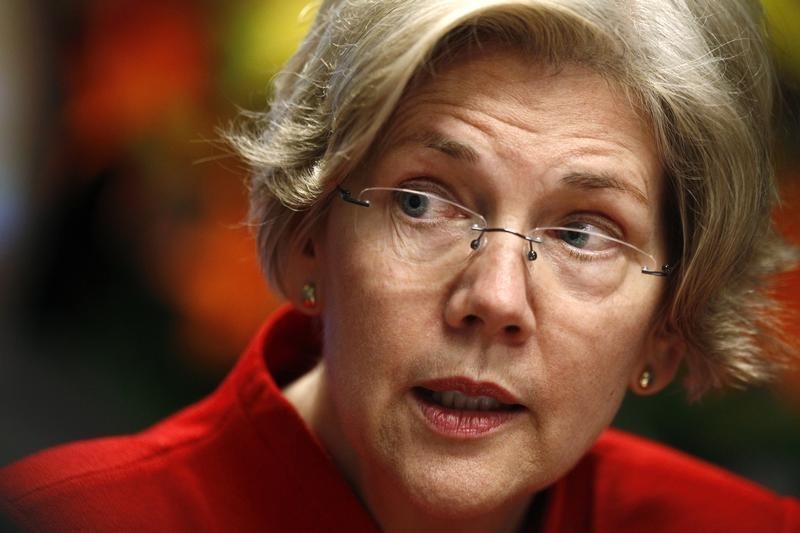 The only thing more surprising might be if Elizabeth Warren, the crusading senator from Massachusetts, joined them. Breakingviews imagines how the scenario might play out. We are excited to begin our next phase as three separate institutions, as agreed with the Federal Deposit Insurance Corp, to keep our financial system safer. As you know, we are reviving the Salomon Bros brand for our global corporate and investment bank, separating the Banamex business in Mexico and renaming our North American retail business “Township Bank.” As part of these efforts, we welcome former Senator Elizabeth Warren to be chair of Township’s board of directors. As one of the loudest voices to lead Citi to this important structural change, Senator Warren will be a worthy representative for our shareholders as we move forward. Having worked so hard to craft the rules and the very regulatory framework under which Township will operate, she is well positioned to help guide our strategy. The senator follows in a proud tradition of watchdogs bringing their vigilance inside the boardroom. Financial reform architect Barney Frank helped Signature Bank contribute to the industry’s long-overdue consolidation, and has become chairman of its new owner, Sovereign. We expect Senator Warren’s like-minded passion for consumers to inform our board just as former House Speaker Nancy Pelosi has done on Wells Fargo’s these past four years. When Senator Warren says she is eager to fight for regular Americans, we believe her. We already have discussed many ideas to make Township the country’s premier bank, including zero-interest rate student loans; mortgages with borrower default protections; and rewards for credit card users who make on-time payments rather than fall behind. Her desire to bring call centers back to the United States will create thousands of new jobs. Reallocating capital earmarked for Township dividends and buybacks, as the senator suggests, will enable us to increase wages for employees. And, of course, the presence of such a regulatory-minded director will ensure we improve on our recent stress-test performance, develop an industry-leading living will and reform our culture to stop the pattern of multibillion-dollar settlements that have become an unfortunate recurrence for over a decade now. Senator Warren will be a guiding light as we embrace the mission at Township of putting customers and America first. Please join me later today for a Town Hall with our newest director, and welcome her to the team. Former U.S. House Financial Services Chairman Barney Frank will join the board of Signature Bank, the bank said on June 17. Frank was one of the co-authors of the Dodd-Frank Wall Street Reform and Consumer Protection Act of 2010.